Several hours West of Delhi, Jaipur is situated along a trade route between Asia and Persia and is an important stop – and history proves it. 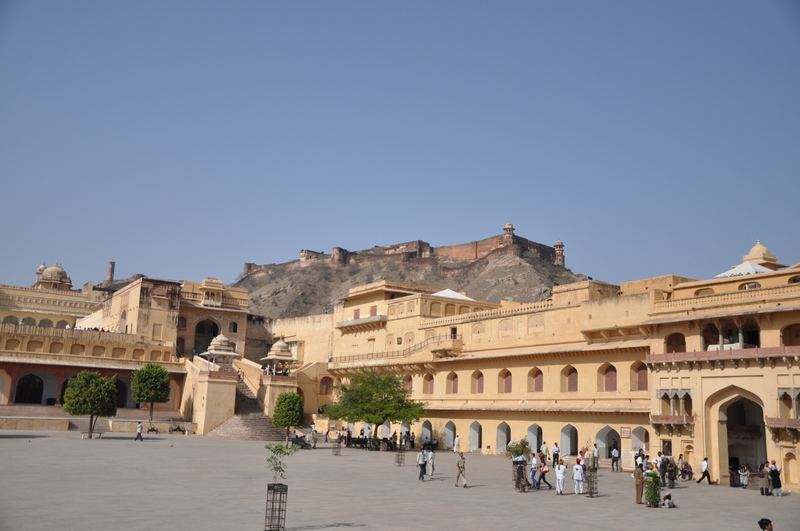 In Jaipur I toured the Amer Fort, after riding up the hill on an elephant, and walked around the Jaipur City Palace, and the amazing observatory at Jantar Mantar; we viewed the Jal Mahal (the Water Palace), and the Hawa Mahal (the Wind Palace). 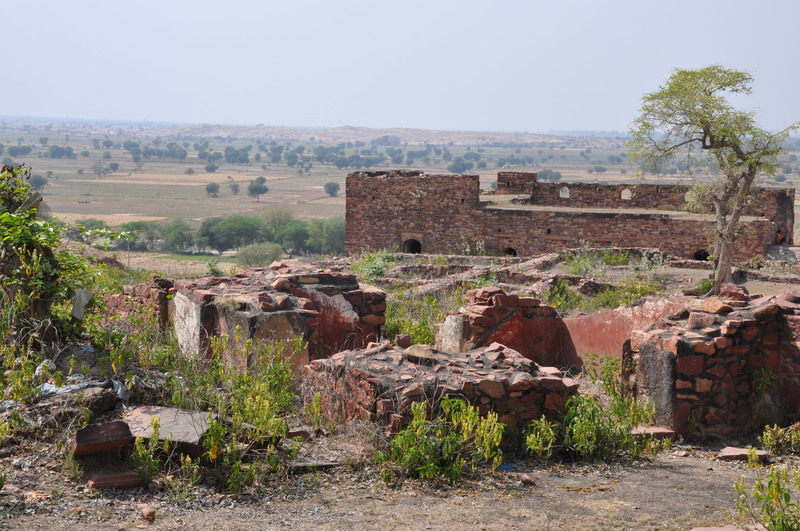 I could see the Jaigarh Fort, but didn’t have time to explore it. My guide introduced me to a local craft center where I was compelled to listen to a series of well-rehearsed sales pitches for rugs and other local goods (it was a terrific break – the artists were extremely talented and the building had aggressive air conditioning). At one point a very serious man said, “these Pashminas are not common goats!” I almost laughed out loud at his lecture. He explained how fine the shaved wool was from the legs, chin and thigh… I couldn’t tell what kind of animal it was from, but he cared deeply and was really excited about teaching me as much as he could in the few minutes we had together. Predictably I was challenged to purchase a truck load of rugs and paintings to send to my absent wife. 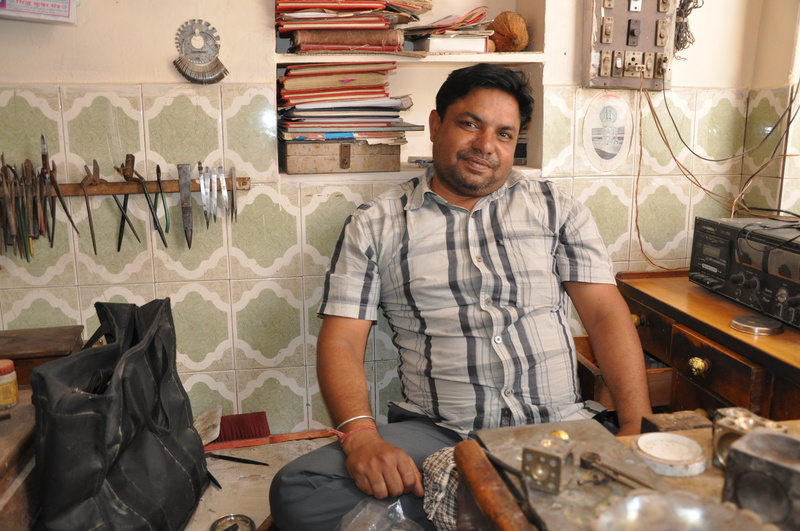 I reminded them that Ghandi carried everything he needed in his head and that I came to India to take memories home; I also worked-in an expression that proved effective, “Maybe someday, but not today.” That evening I walked around the old city and found jewelry makers working on gold and silver bracelets down numerous back alleys – a few answered my questions and showed me what they were working on. 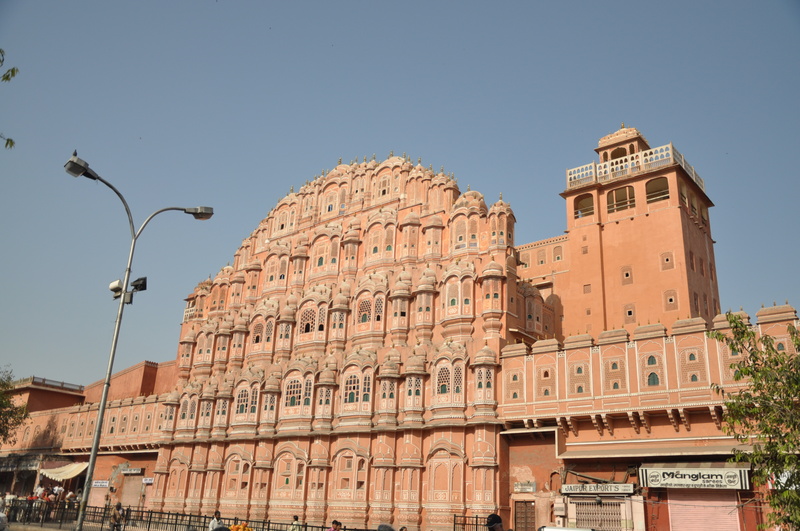 Jaipur is a fascinating city; it’s history and architecture rival the richest sites in the world. 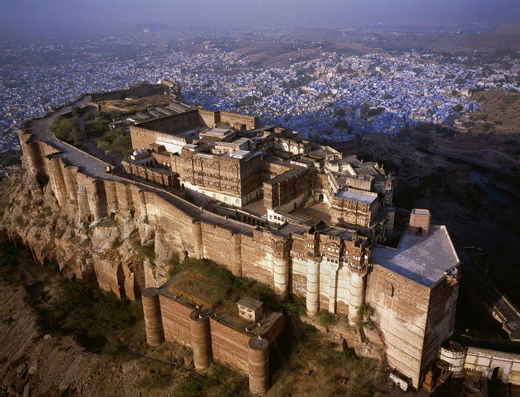 On to Jodhpur and the Mehrangarh Fort, a massive hilltop fortress in the middle of the Western desert, surrounded by blue buildings. Construction started in 1459, but the most visible portions were completed by 1678, and the most famous gate – Victory Gate was constructed in 1806 by Maharaja Man Singh to celebrate a victory over Jaipur. These cities are only a few hundred miles apart but waged war for centuries. 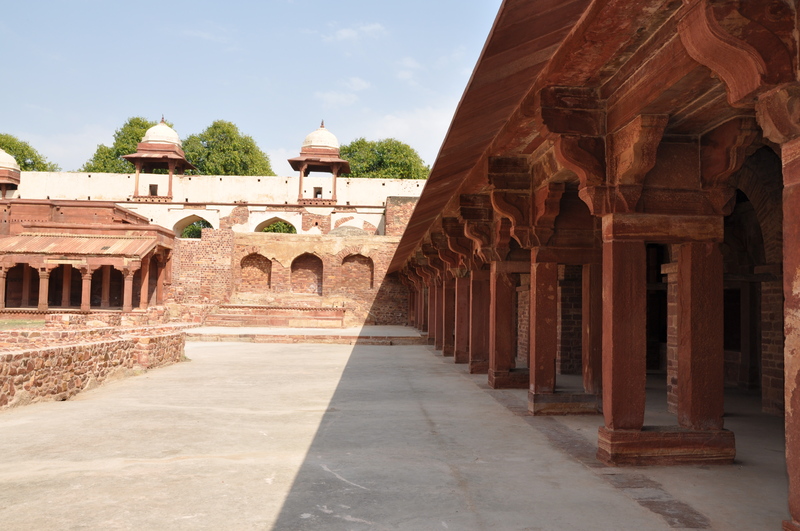 The palace and surroundings, like most I visited in India, are stunning, and dominated by the Islamic architecture introduced by the Mughal emperors who reigned from 1526 to 1857. The Air Force base in Johdpur carried-on the finest local tradition and featured the wreckage of a Pakistani Mig they had shot down earlier – prominently displayed at their main gate. Jodhpur has a noticeable military presence positioned to counter threats from their neighbor, Pakistan, and our progress was held-up several times while we navigated around various convoys. 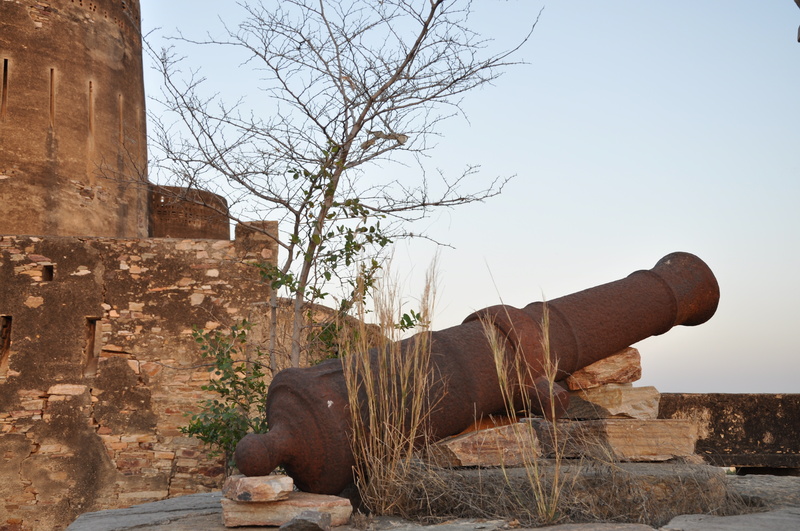 I departed Jodhpur and traveled East again to Kishangarh and Roopangarh Fort, built on high ground North of the city. I was the only guest and had the run of the palace. I found a picture of Prince Charles from a visit he made years earlier, and during that exploration I also discovered that a staff member was assigned to turn lights on before I entered rooms, and extinguish them when I left. Just before dinner, and a highlight during the trip, I watched the sunset from the highest point on the palace – the wind blew so hard it drowned out every other sound, and bats left the fort for the night while the entire city lit cooking fires and each home turned on a single lightbulb. 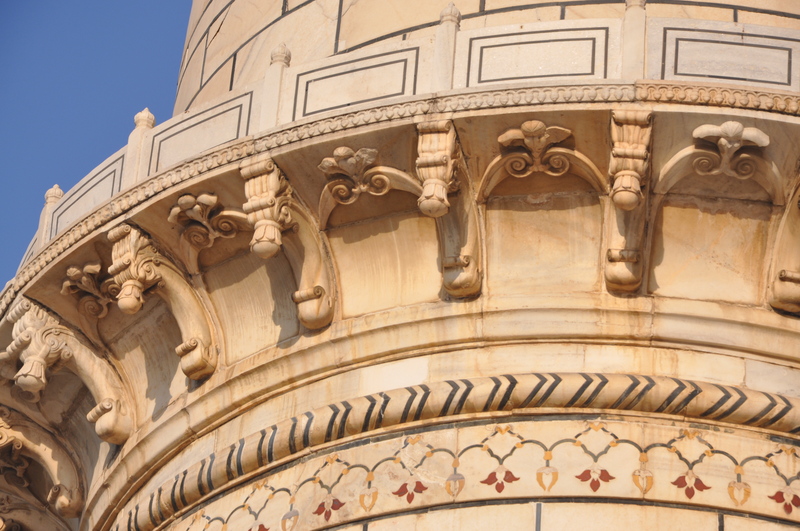 In the morning we left Rajasthan and continued East into the State of Uttar Pradesh and the city of Agra – famous for the Taj Mahal. 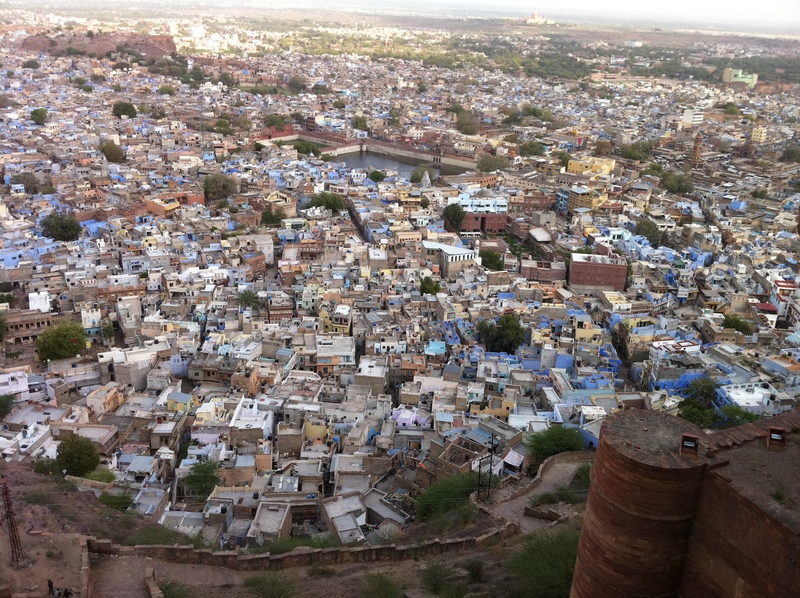 During a drive that passed through marble quarries and endless desert, Mahendra commented on one particular town, “very filthy, dirty place…Muslims.” To my untrained eye it looked like any other Indian village constructed on a thousand year old trash pile, full of animals and open sewers. I wondered at the irony of a Hindu earning his living by dragging a Western tourist to heritage sites built by Muslim Maharajas. About twenty minutes later I witnessed my first two-legged highway fatality and the excited crowd that formed out of nowhere. We didn’t need to stop and continued on in silence and I thought about the complicated relationships among India’s people. 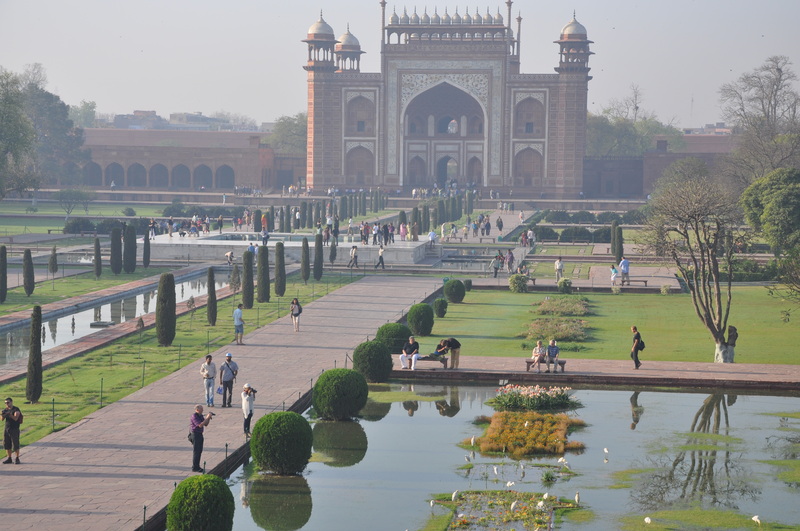 Next up, two planned stops at nearby World Heritage Sites before settling in at the Taj Hotel in Agra. 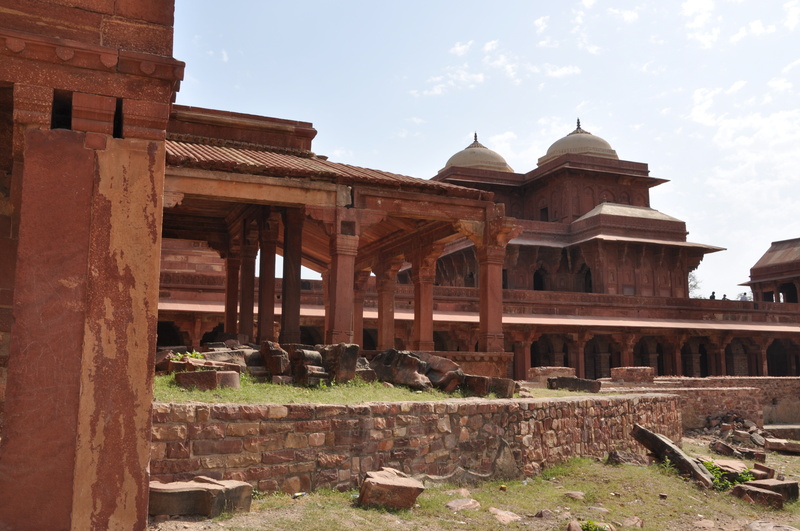 The Fatephur Sikri was first; my young guide convinced me to ride an empty tour bus, dismissed my objections and reassured me that it was too far to walk and I would be comfortable. Within five minutes I was trapped behind a human wall a hundred people deep who loaded on before I could ditch the bus. Naturally, once it was full, we waited another three minutes to double the crowd again. The bus groaned up the hill as I jealously watched a group of German tourists enjoying their quarter-mile walk to the front gate. When I rejoined my guide he suggested I give him money to pay the guards so I could make a pit stop before starting our tour. Ha! No, I would not pay to urinate in a country that defecates in public. We parted ways on the spot and I walked around the entire site and took pictures of ruins, trash piles and junkies. It was very rewarding… Slowly and by day my ignorance evaporated. 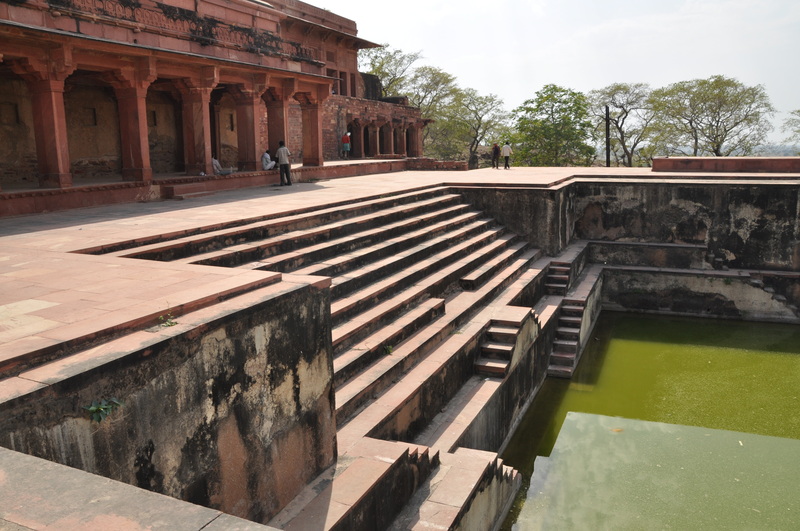 The Fatephur Sikri is an enormous site on hundreds of acres. It’s a beautiful place, full of fountains, pools, waterfalls and ornately carved brick and huge domes and arched ceilings. 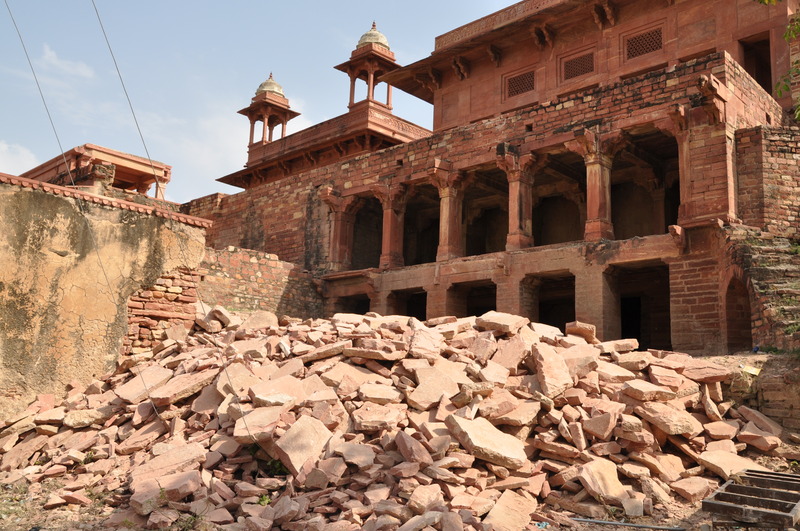 Everyone knows about the Taj Mahal, but there are palaces that took longer to build and cost more that few people know exist. India is amazing. 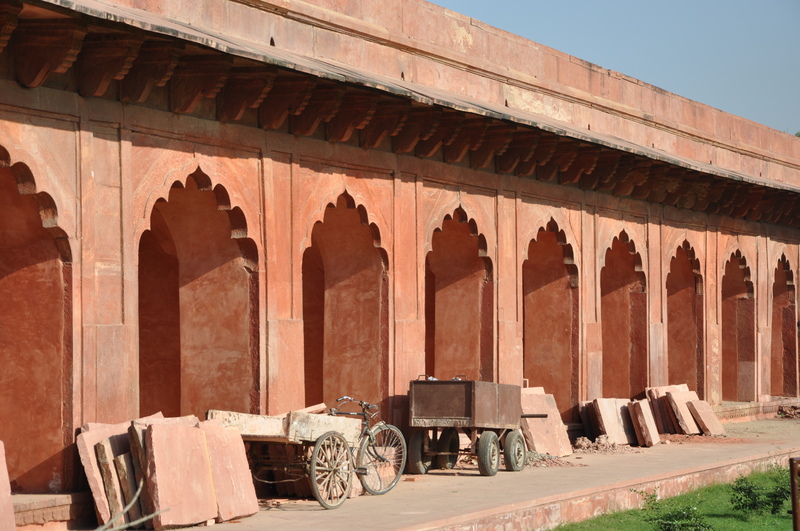 Next up – Agra Fort at sunset – an incredible Mughal fortress with views of the Taj Mahal. The palace and grounds were impressive. Especially the symmetrical gardens, stone lattice carvings, running water and fountains. Agra Fort and the Taj Mahal are difficult to describe in words. Even before my close encounter with the Taj Mahal it was obvious why my India-Coach insisted that I visit other cities first. 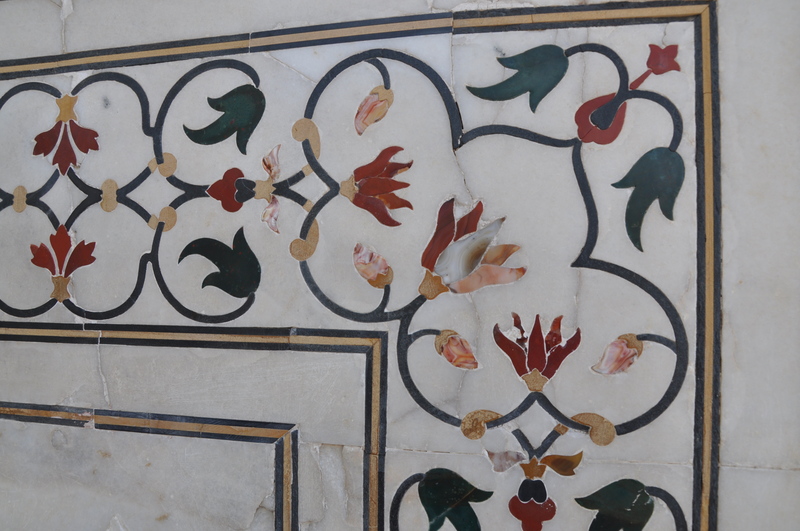 Paint and brick are beautiful, but they’re black and white movies to the 3-D Digital Color created by flourescent marble inlays and gemstones that decorate the Taj Mahal. 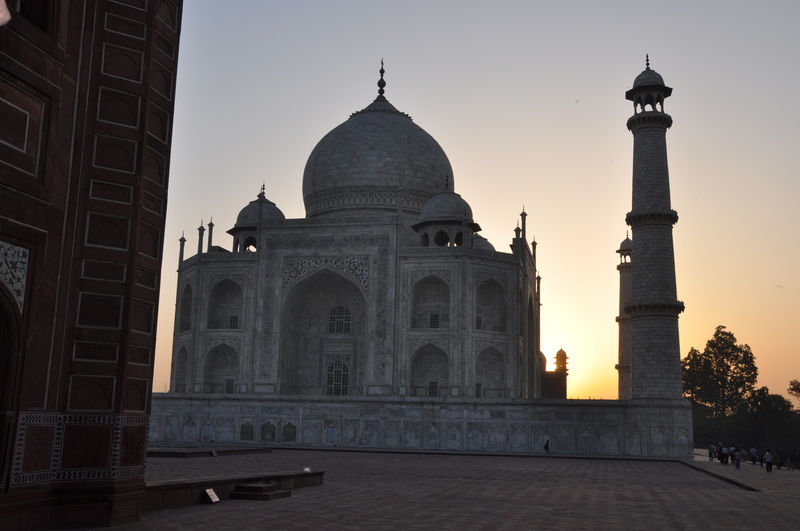 I was off to my hotel and then a predawn tour at the Taj Mahal the next morning. Stunning. I viewed many Mughal Palaces and Fort’s during my ten day visit, but the Taj Mahal is breathtaking. Seeing it from different angles at the first morning light was exciting. Somehow that night I managed to get home in First-Class on American Airlines’ Boeing 777-200 service from Delhi to Chicago. It was nice to catch up on my sleep and reflect on the previous two weeks; International Flagship Service was a fitting end to days spent wandering around Royal stomping grounds.